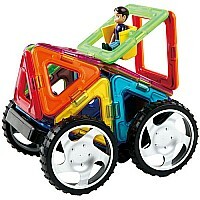 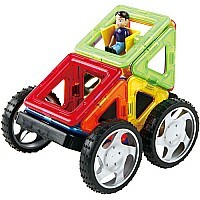 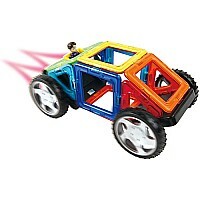 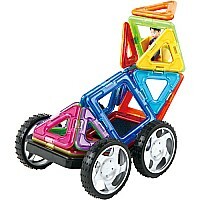 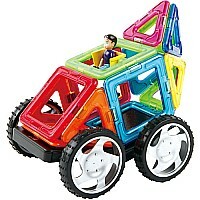 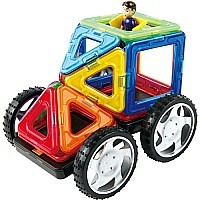 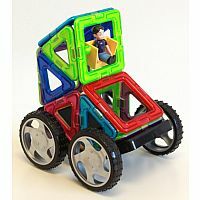 This 3-D, multi-colored building set is the perfect combination of magnetism, geometry, creativity, and fun! 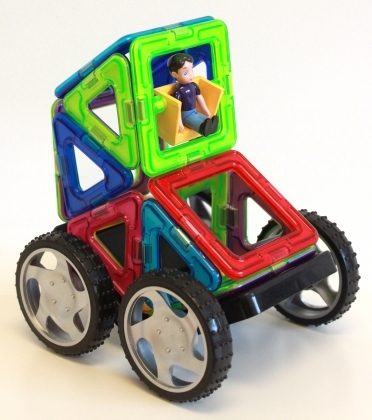 Extremely powerful neodymium magnets are safely encapsulated in all sides of the brightly-colored shapes that always connect. 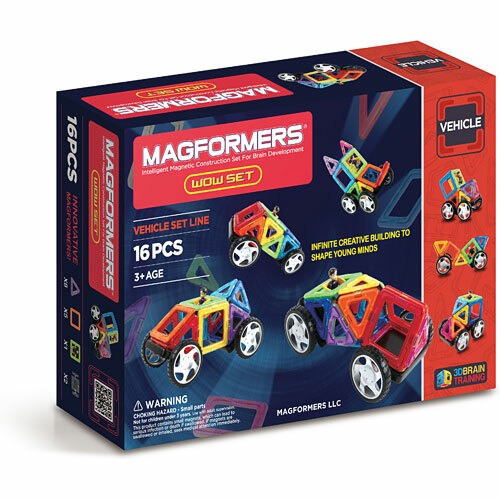 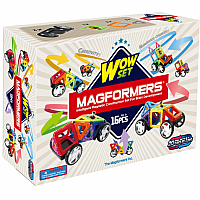 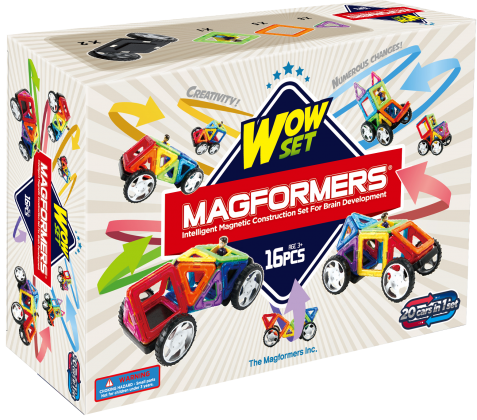 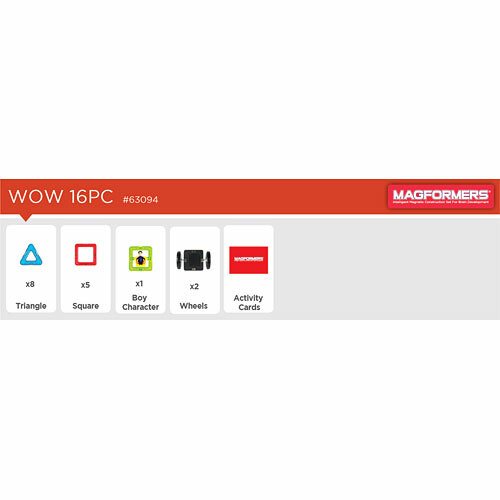 This set is a great addition to your Magformers collection, and is compatible with all Magformers shapes and accessories. 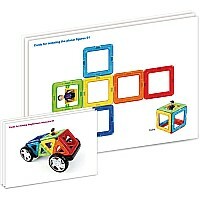 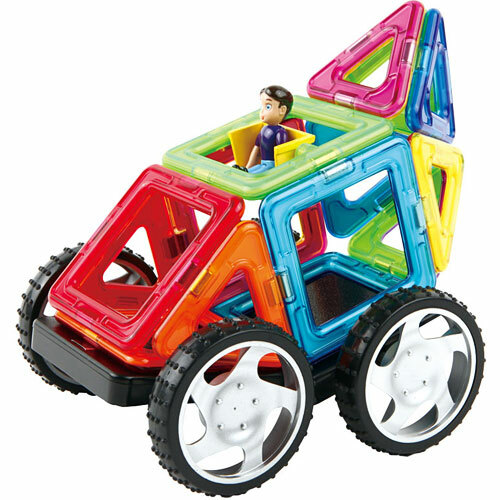 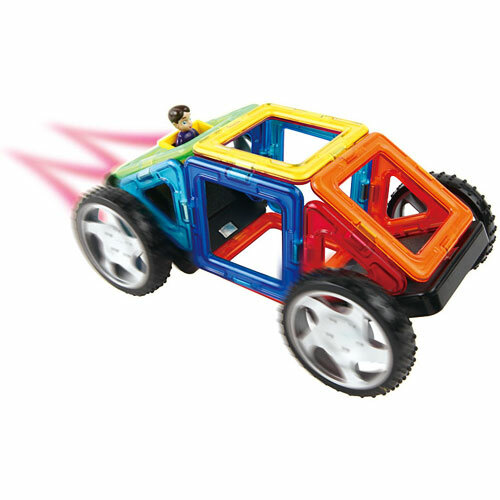 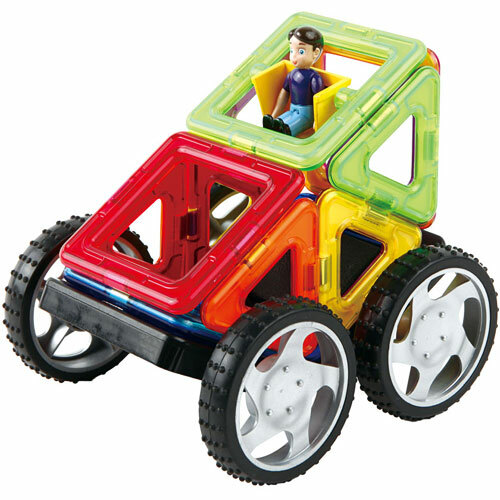 The Wow set includes a Driver figure, eight triangles, five squares, two axle/wheel pieces, and 10.5" x 7" Wow cards with easy-to-follow, fully illustrated instructions to help with building 20 mini-cars, eight planar cards, and 11 play platforms.